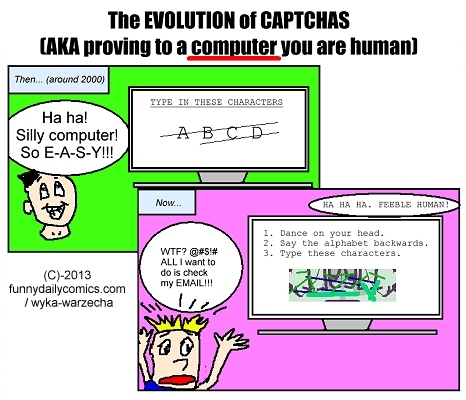 First box: [Guy laughing at the 'easy' captcha.] Haha! Silly computer! So E-A-S-Y! Second box: [Guy getting frustrated because the captcha question is so difficult.] WTF? @?!#$! All I want to do is check my e-mail!!! [Computer]: HA HA HA. FEEBLE HUMAN!